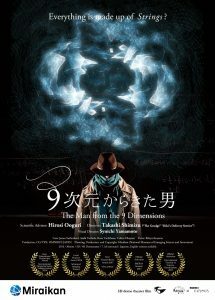 “The Man from the 9 Dimensions” is a 3D dome theater movie on Superstring Theory, the leading candidate for the unified theory of forces and matters, including gravity. 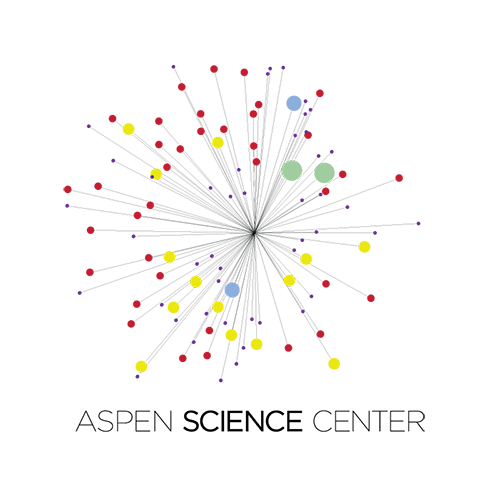 It debuted in Japan last year and has received numerous prizes and honors including the 2016 Best Educational Production Award of the International Planetarium Society. 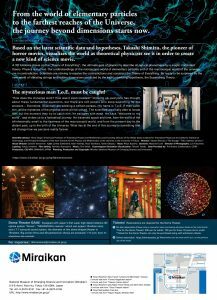 Hirosi Ooguri, the President of the Aspen Center for Physics and the Scientific Adviser to the movie, will explain the science behind the movie, which takes us from the microscopic world of elementary particles to the macroscopic world of the universe, and to its beginning – the Big Bang. A 2D flat screen version of the 30-minute movie (in English and appropriate for all ages) will be shown after his talk.